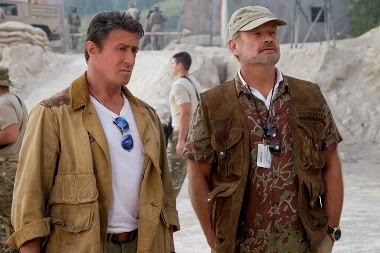 I say this as a Sylvester Stallone diehard: it might be time for the Expendables to retire. 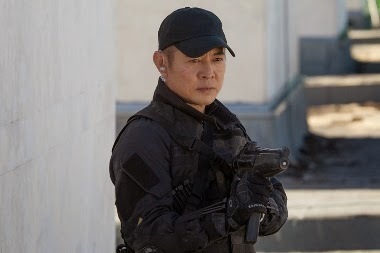 The Expendables 3 finds Barney Ross (Stallone) putting together an all-new team of younger, more technologically-inclined Expendables (including Twilight star Kellen Lutz and MMA champ Ronda Rousey). After his thought-to-be-dead arch nemesis Conrad Stonebanks (Mel Gibson) takes one of Barney’s core team members out of commission, he decides he can’t risk his comrades’ live any longer. He’s out for revenge and if anyone is going to die in the process, it will be nameless, faceless rookies. This adds a whole slew of new characters to fit into the story (resulting in a bloated 126-minute running time; 131 minutes in the Blu-ray “unrated” cut). It also reduces the amount of screen time for Lee Christmas (Jason Statham), Toll Road (Randy Couture), Gunner Jensen (Dolph Lundgren), and Hale Caesar (Terry Crews). Wasn’t Jet Li’s Yin Yang an important part of this series at one point? Here he emerges as something of a traitor to Barney, working for Trench Mauser (Arnold Schwarzenegger) because Trench pays better. It’s nothing more than a cameo, played for jokes. The biggest problem with part three is that there seems to be nothing at stake. It’s just a bunch guys having a bit of relaxed (albeit loud and violent) fun, despite the supposedly treacherous nature of Stonebanks. We never really get a sense of why this man is so dangerous (though Gibson does his best to chew the scenery memorably). 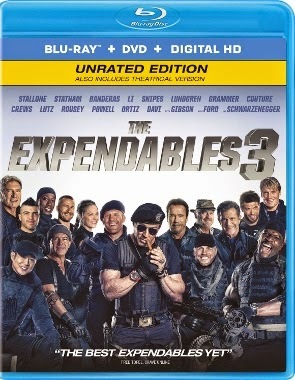 Part two centered on the death of a new Expendables recruit, but by this point Stallone (who came up with the story and co-scripted) is too close to his characters to let go of anyone. As he cavorts around with his new crew, the Expendables who fans have come to know throughout the previous two films are left in the lurch. They bide their time waiting for the inevitable moment they can slip back into action. Of the new stars added to the cast, only Gibson and Antonio Banderas (as the hyperactive Galgo) are given much to do. Kelsey Grammer turns up as Barney’s associate Bonaparte, who proceeds to help him assemble the young guns. But after an explosively commanding entrance, Wesley Snipes is wasted as Doc. And Harrison Ford steps in as CIA op Max Drummer, but his handful of scenes don’t add up to much more than a gruff cameo. Lionsgate’s Blu-ray is top notch in terms of audio/visual presentation. The Dolby Atmos soundtrack might be awesome for those equipped to play it back (I’m not), but even defaulting into Dolby TrueHD, this is one powerhouse surround mix. The special features are highlighted by a fairly substantial 50-minute “making of” documentary that features participation by all of the principles. There are a number of additional, shorter featurettes and an extended sequence. The gag reel is fun, too. When the movie hit theaters last August, I reviewed it here and argued that it was possibly the best film of the series. In retrospect, I think I overstated the relative quality of part three in relation to the first two. 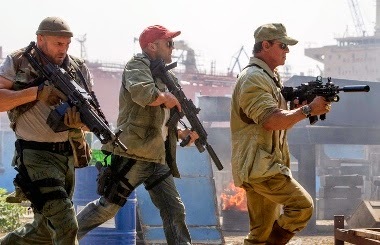 There is still fun to be had in The Expendables 3 and even when the script fails to excite, it’s still a kick to see a new combination of all-star veterans working together. But despite Stallone’s promises to carry on with a fourth installment, it might be time to move on to something a little fresher. I think Patrick Hughes really comes up with the goods on this, as does Peter Menzies, who was cinematographer.